Do you suffer from eyestrain or visual disorders? Let us help you with improved quality of life through unique acupuncture treatment! 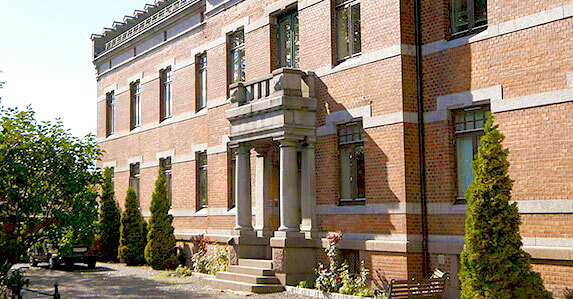 St. Olav Eye Clinic is the very first clinic in Norway built on conventional western medicine combined with acupuncture and traditional chinese medicine TCM, and at the same time between the two countries China and Norway. 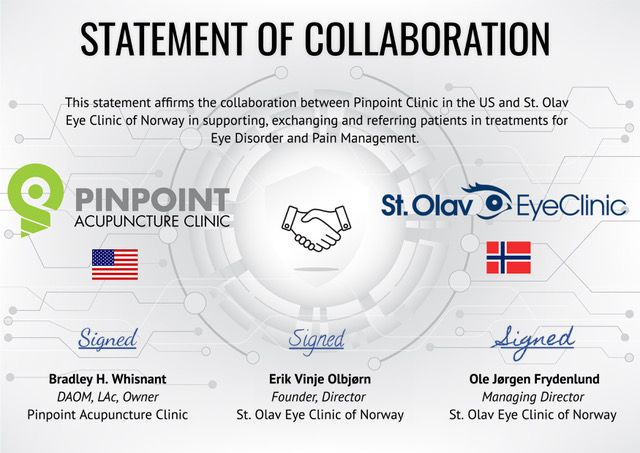 St. Olav Eye Clinic of Norway represents also the chinese Eye Hospital of China Academy of CMS in Beijing and there has been established a formal branch of the hospital here at the clinic in Norway. At St. Olav Eye Clinic, you can find in Oslo and Tønsberg, we treat a various forms of eye disorders; for example dry and wet AMD, Retina pigmentosa, dry eye, glaucoma, optical distrophy, diabetic retinopathy, MS (distrophy) etc. using acupuncture and traditional Chinese medicine TCM. 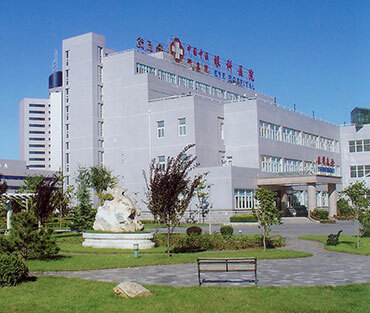 Cooperation with the Chinese hospital, Eye Hospital China Academy of Medical Science, CACMS in the Chinese metropolis Beijing, has given great value to this integrated way to treat eye diseases which in turn has given rise to the fact that western medicine and the Norwegian medical community has made interest for our project. This collaboration and cooperation with Eye Hospital provides us a solid accreditation of the work we do and see that it also gives us a good formal pull force to propel the eye clinic and provide adequate treatment to eye patients. We are so excited to announce our international partnerships with our fellow practitioners. This affirms our commitment to helping those with eye disorders not only domestically, but also internationally. We look forward to additional collaborations and commitment for treatment of people in need. ”After only seven weeks of intensive care, I have regained most of the sight in his right eye and improved left with at least fifty percent. I am so grateful. Thank you."